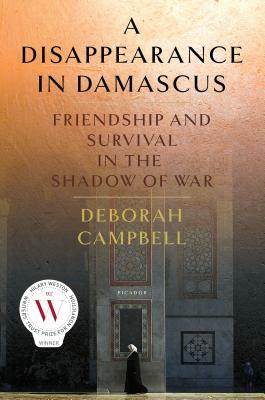 DEBORAH CAMPBELL is an award-winning writer who has reported from many countries around the world, including Iran, Syria, Jordan, Egypt, Lebanon, Israel, Palestine, Mexico, Cuba and Russia. Her work, much of which involves spending long periods of time in the societies she covers, has appeared in Harper's, The Economist, The Guardian, New Scientist, and Foreign Policy, and she is the recipient of three National Magazine Awards for her foreign correspondence. A Disappearance in Damascus: Friendship and Survival in the Shadow of War won the 2016 Hilary Weston Writers’ Trust Prize for Non-Fiction. Campbell has guest lectured at Harvard, Berkeley, Zayed University in Dubai, and the National Press Club in Washington. She teaches at the University of British Columbia.